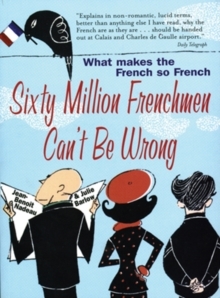 Most of what we know about the French comes from what the French say about themselves. Yet how are we supposed to understand a people who say non when they mean yes, who never say "I don't know," even when they really don't, and who argue at the drop of a hat? Jean-Benoit Nadeau and Julie Barlow spent a decade traveling to and also living in Paris. In The Bonjour Effect, they chronicle the lessons they learned after returning to France to live, for a year, with their twin daughters. 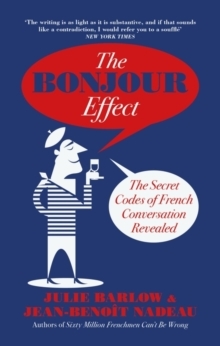 In a book as fizzy as a bottle of French champagne, they reveal the most important lesson of all: the French don't communicate, they converse. 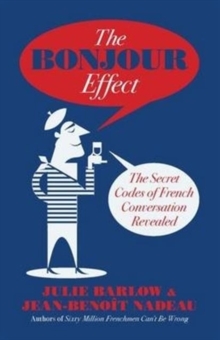 To understand and speak French well, one must understand that French conversation runs on a set of rules that go to the heart of French culture. 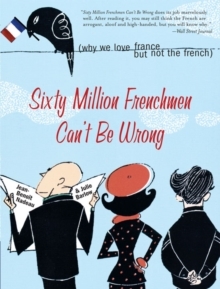 Why do the French like talking about "the decline of France"? Why does broaching a subject like money end discussions? Through encounters with school principals, city hall civil servants, gas company employees, old friends and business acquaintances, Julie and Jean-Benoit explain why, culturally and historically, conversation with the French is not about communicating or being nice. It's about being interesting. 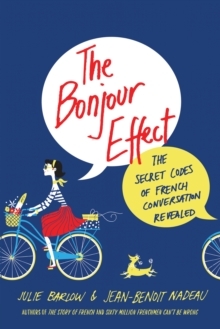 After reading The Bonjour Effect, even readers with a modicum of French language ability will be able to hold their own the next time they step into a crowded bus, a beloved boulangerie, or a bistro on the Left Bank.